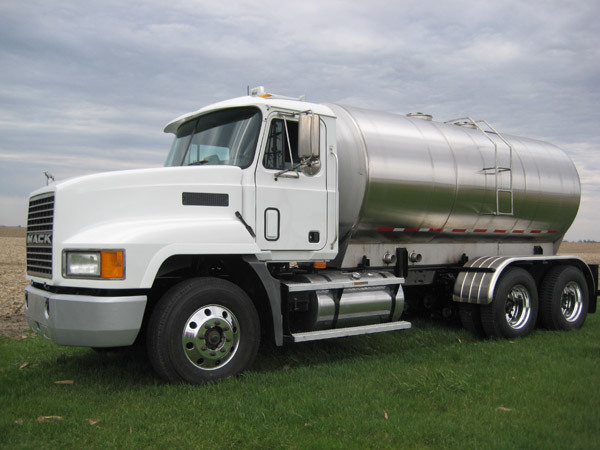 Osco builds our agricultural trucks and liquid fertilizer tanks on new or used chassis. Each truck is engineered for quality, durability, and performance. Our customers count on these trucks to get the job done and get it done right. Each of our agricultural trucks is ready for the field as soon as customer’s bring it home, and Osco builds each truck to handle challenging farmland terrain. Every truck has the option of a huge amount of extras, specified to our customer’s individual needs. Some options include pumps (Gorman Rupp, Deffco, MP Pumps, etc. 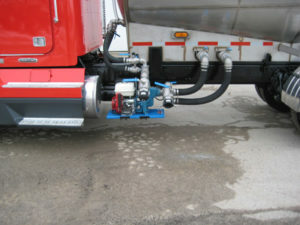 ), fuel sump with 3” or 4” outlets, sight gauges, double compartment tanks, or a fuel transfer tank. Osco also provides toolboxes, hose trays, and floodlights. Our customer’s vision is important to us. The professionals at Osco achieve your customized vision for your agricultural truck. Osco refurbishes agricultural tanks, or fertilizer trucks. We help customers find a used truck within their budget. Whether used or new, each used Osco Certified chassis receives new paint on the cab and chassis, new tires, new brakes, and new powertrain fluids and filters. Used trucks also include a new bumper, road testing, a 120 point inspection, and DOT inspection at an independent truck service center. Our customers are confident knowing that they’re driving a safe, reliable, and efficient machine. They do not worry about their truck dying on them after a few years. If taken care of properly, our trucks and agricultural tanks last you a lifetime. Our customers get the best product for their budget. We promise to work with you every step of the way. At Osco, we work with you to create your vision, stay within your budget, and get a quality product. Your vision is there from conception to completion. Osco Tank and Truck Sales originated in 1999. Osco Tank and Truck Sales is a family business and we take pride in treating our customer’s how they deserve to be treated. Give us a call today for more information on how to get your agricultural tank truck or liquid fertilizer truck started.